Who doesn’t want to go to Giggle Hollow? 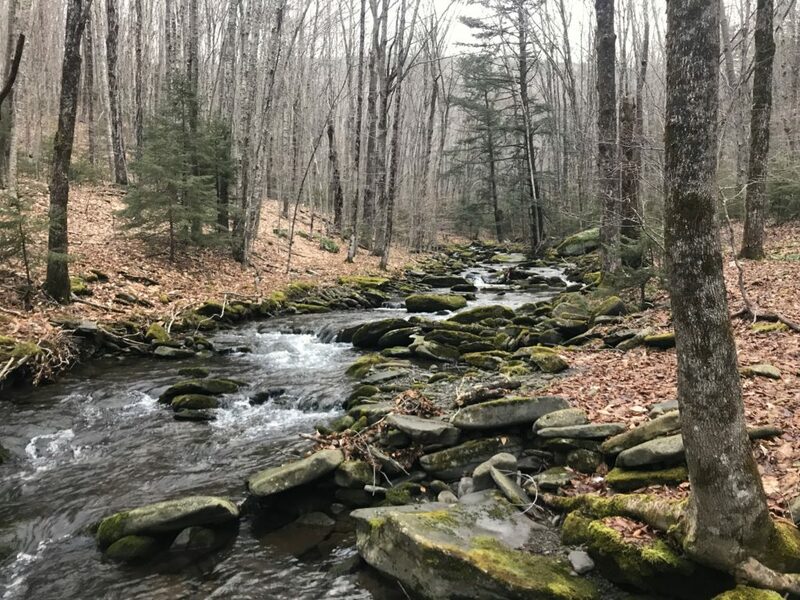 This delightful-sounding place can be found between Pine Hill and the south-eastern edge of Belleayre Ski Mountain, in a small web of hiking trails that leads from the top of the ski mountain all the way down to Big Indian wilderness and beyond. 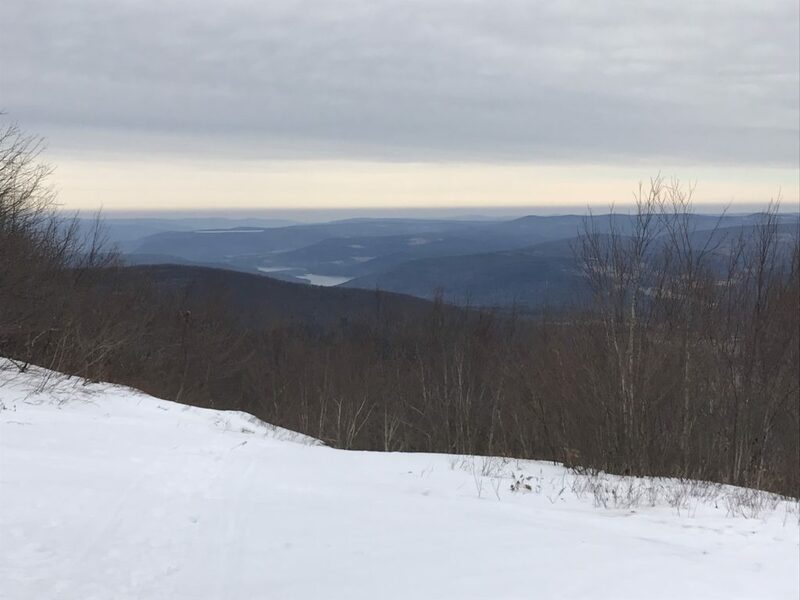 In the winter, these Belleayre trails are the perfect destination to snow shoe to these gob-smacking views if you’re with non-skiers or your dog. 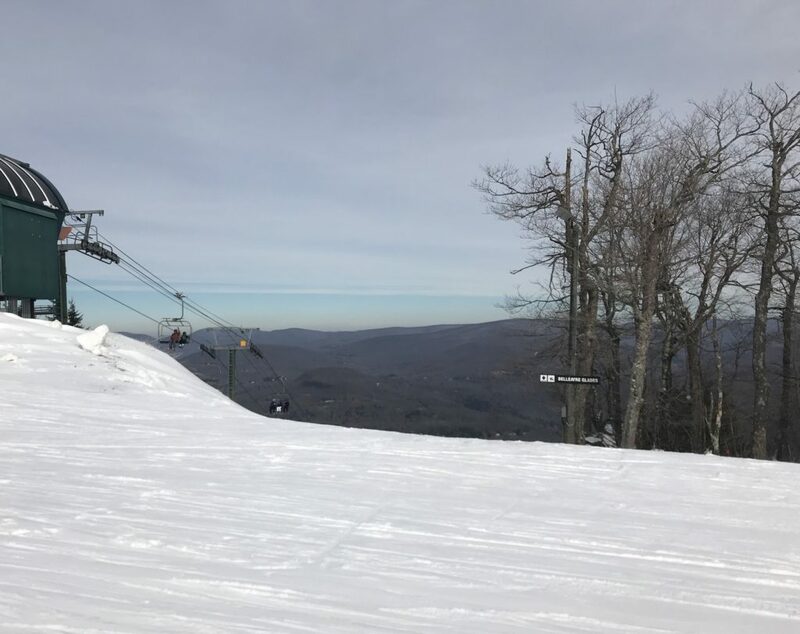 If you do take your country dog, he must be harnessed and leashed if he’s likely to become uncontrollably excited by the prospect of skiing and keenly propose the notion of exploring the double black diamonds to a chorus of “Hi, Puppy!” as the skiers glide by. You don’t want your dog flying off down the mountain. 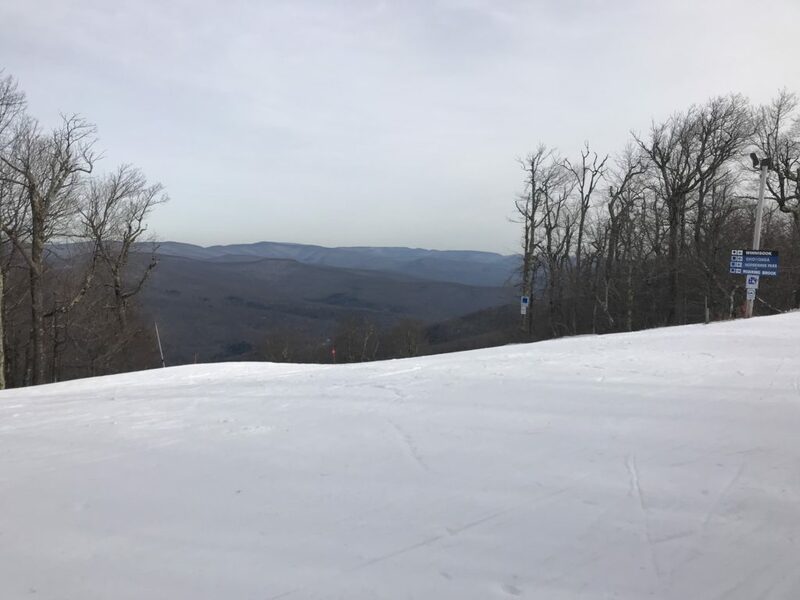 While we were admiring the view from the summit, which is the end of the trail, we were approached by a skier from Europe who made me fiercely jealous by telling me that in The Alps skiers take their dogs, who follow them up the mountain on foot underneath the ski lifts. Alpine skiers ski with their dogs. What a life for an outdoor dog. 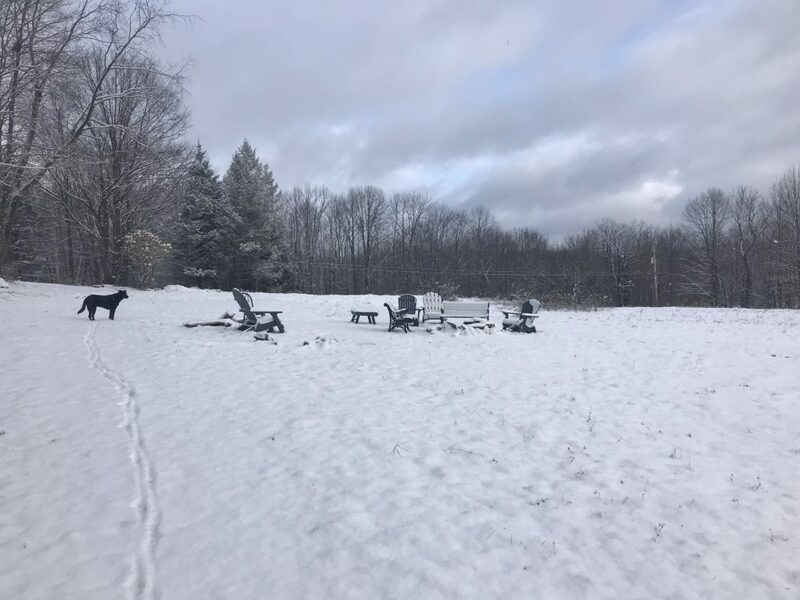 Perhaps we could have Dog Day on Belleayre? Or would that descend into chaos? 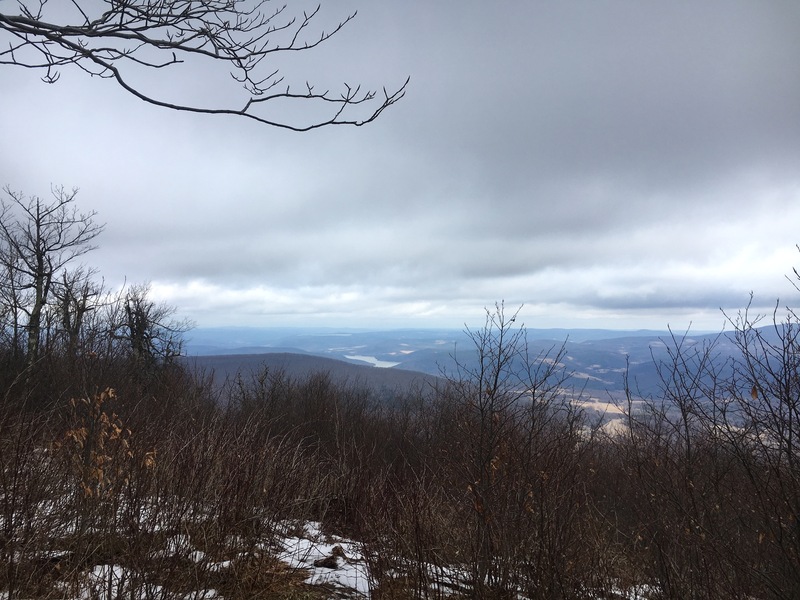 This entry was posted in Hiking The Catskills and tagged Belleayre Mountain, Catskills Hiking, Hiking the Catskills, Lost Clove on January 6, 2019 by JNUrbanski. 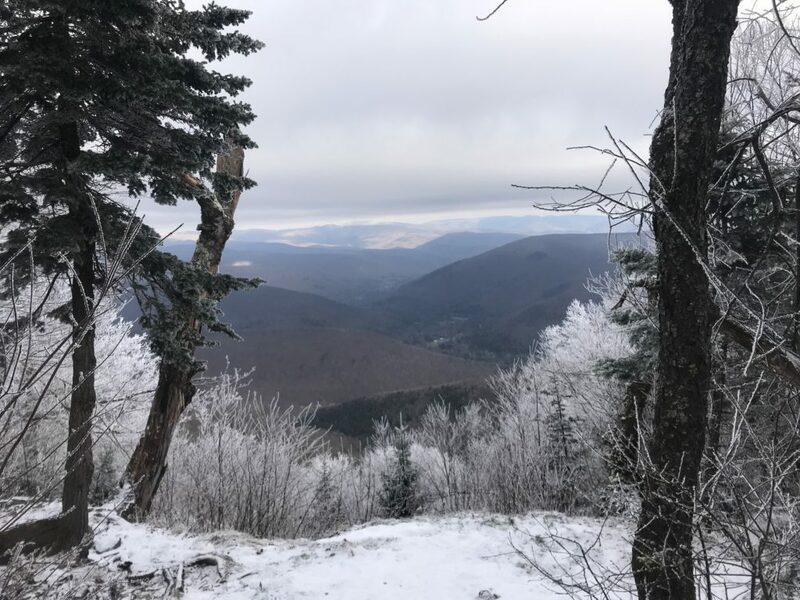 Monday’s guests Heather Rolland of the Catskill 3500 Club and Will Soter of Upstate Adventure Guides will be imparting Catskills winter hiking tips on Monday December 10th on WIOX Roxbury from 9am to 10am). 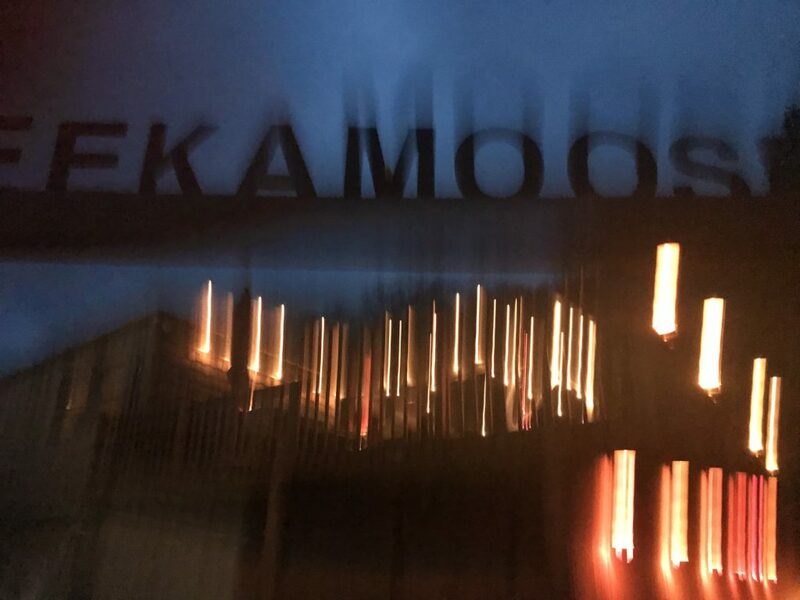 You can listen to WIOX streaming online service here. 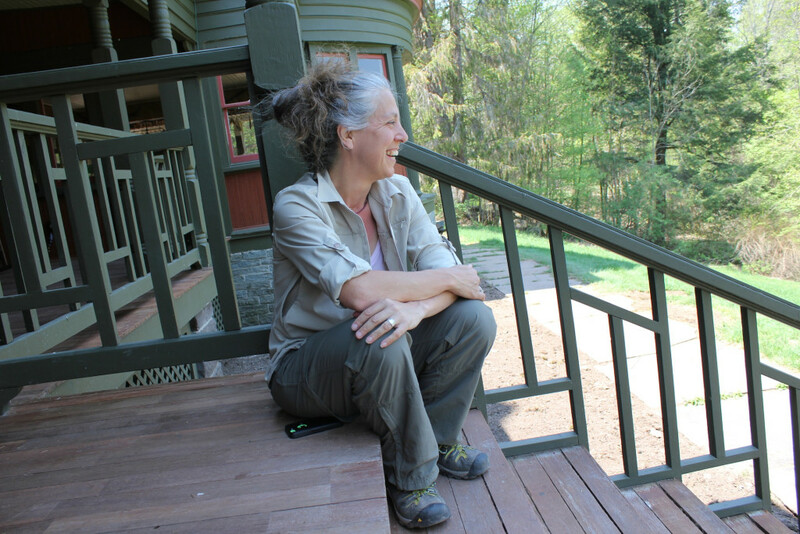 Will Soter will also be talking about outdoor guiding in the Catskills. Whether you simply want to know more about hiking the Catskills or if you’d like to become a guide, tune in on Monday at 9am. 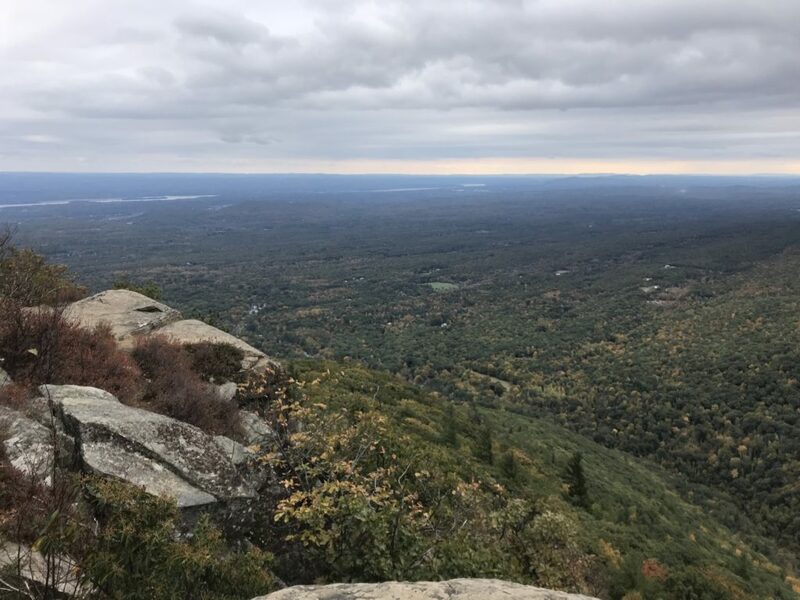 This entry was posted in Hiking The Catskills and tagged Catskills 3500 Club, Catskills Hiking, Hiking, Radio, WIOX radio on December 9, 2018 by JNUrbanski. 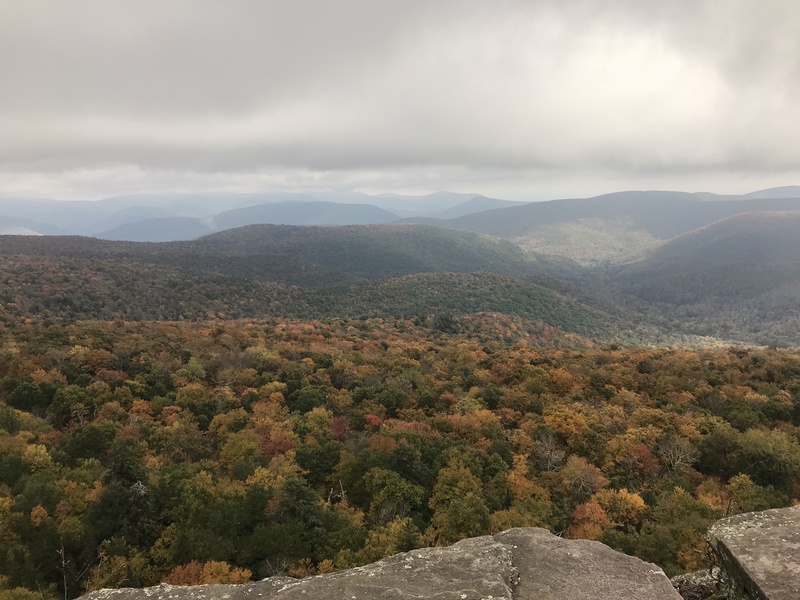 Jeff Vincent of Catskill Mountain Wild is running a Bushwhacking 101 class next week, Saturday November 12th, on Rusk Mountain. 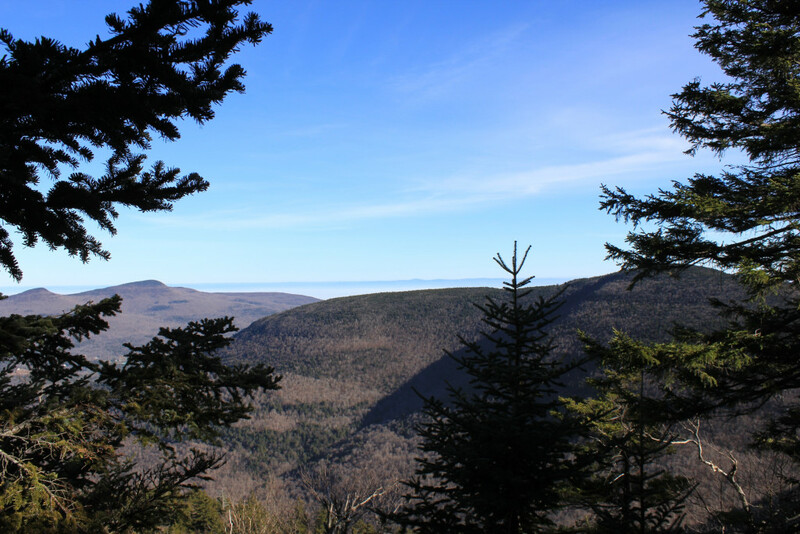 Apparently, it’s No-Trail-November and now that the trees are almost bare, trail-less hiking is much easier. 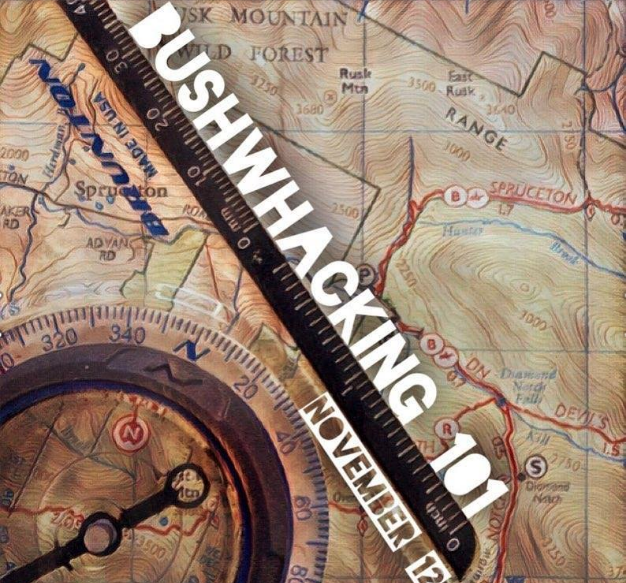 In this class you will learn how to bushwhack safely and properly; go over basic map and compass reading; learn how to navigate the land. 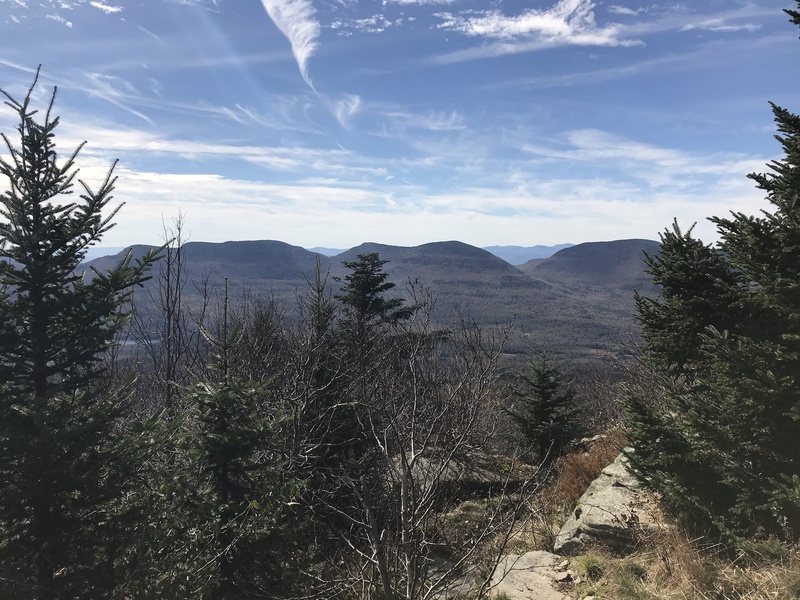 This is described as a hands-on class and culminates in hiking to the summit of Rusk, which is one of the hikes required to complete the Catskills 35. 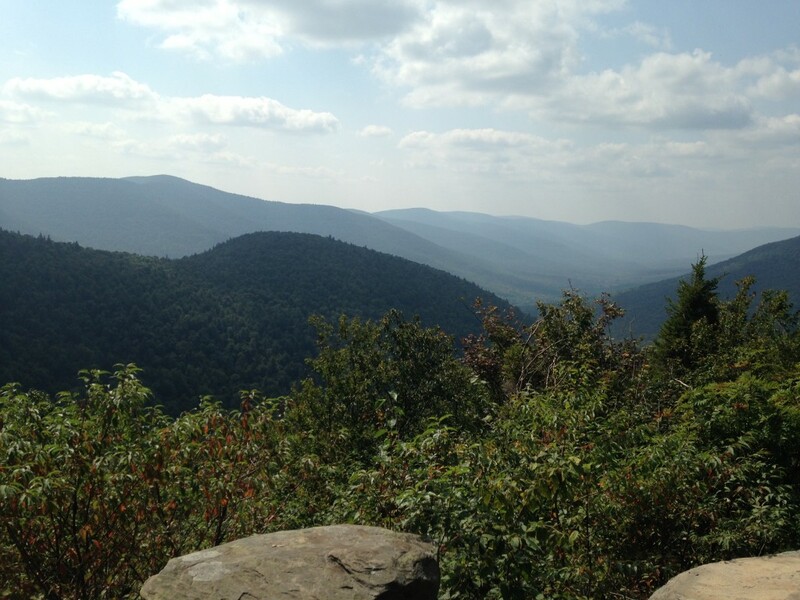 The group will be meeting at 9am on Spruceton Road in West Kill, NY, one of the most picturesque valleys in the Catskills. 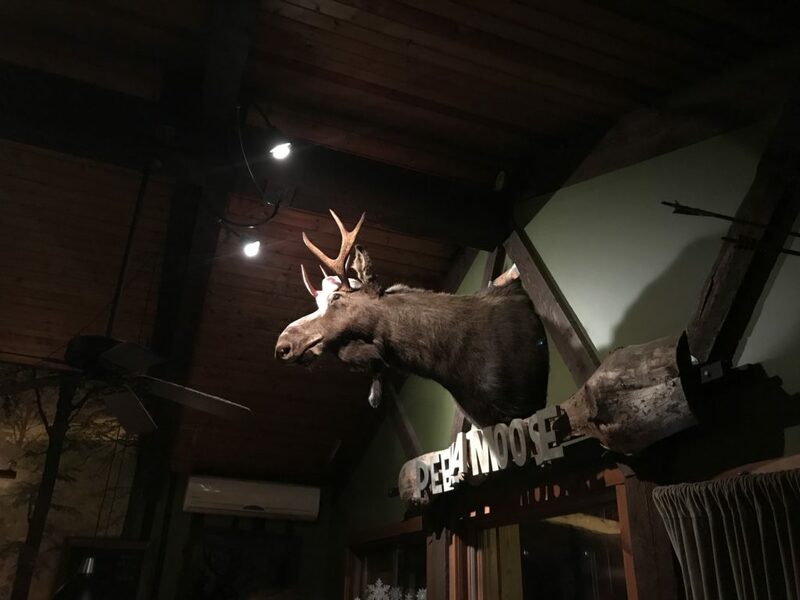 The Spruceton Inn will be giving the group 50% discount on drinks at their bar after the hike. Hike to the top of a mountain and then sip half-price drinks as the sun goes down in the beautiful Catskills: a guaranteed good time. 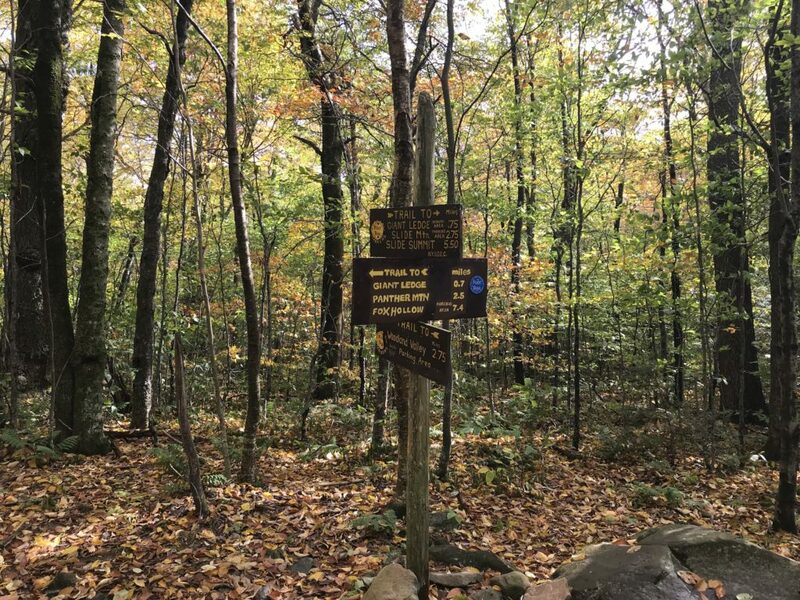 Jeff Vincent is a guide licensed by the NYS DEC, certified in First Aid & CPR, a 2014 Appalachian Trail thru-hiker and Catskill 3500 Club member. Read our interview with Jeff Vincent here. 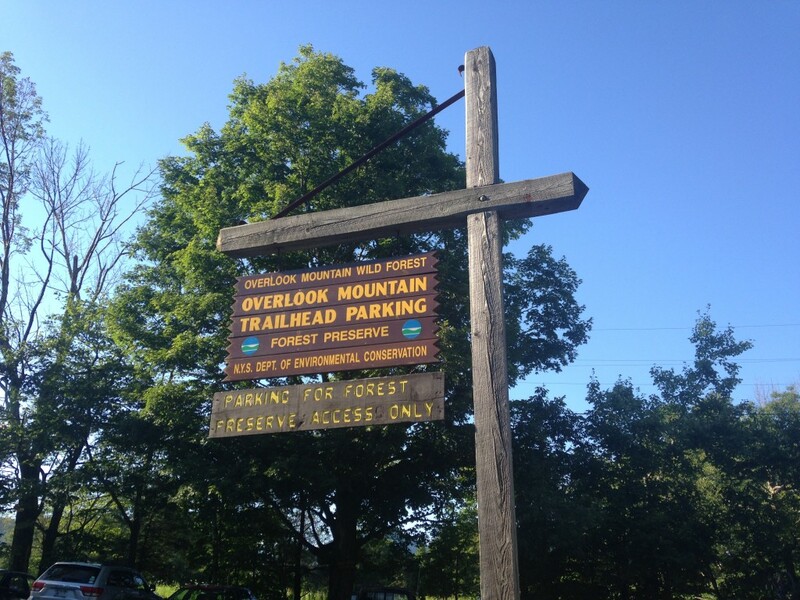 Go to the Facebook page to find exact details or email catskillmountainwild@gmail.com with any questions. 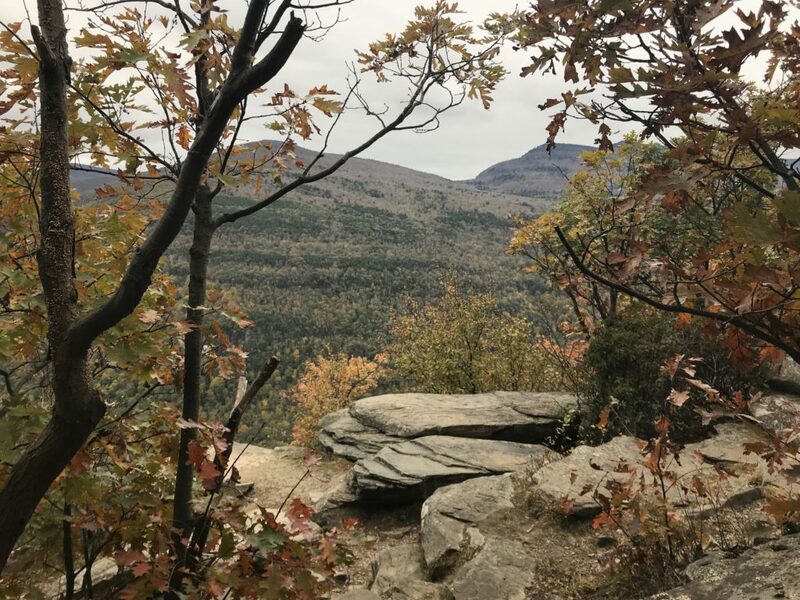 This entry was posted in Hiking The Catskills and tagged Catskill 35, Catskill 3500, Catskill Mountains, Catskills, Catskills Hiking, Hiking, Upstate Guides, Upstate Life, Upstate Living, Upstate NY on November 7, 2016 by JNUrbanski. 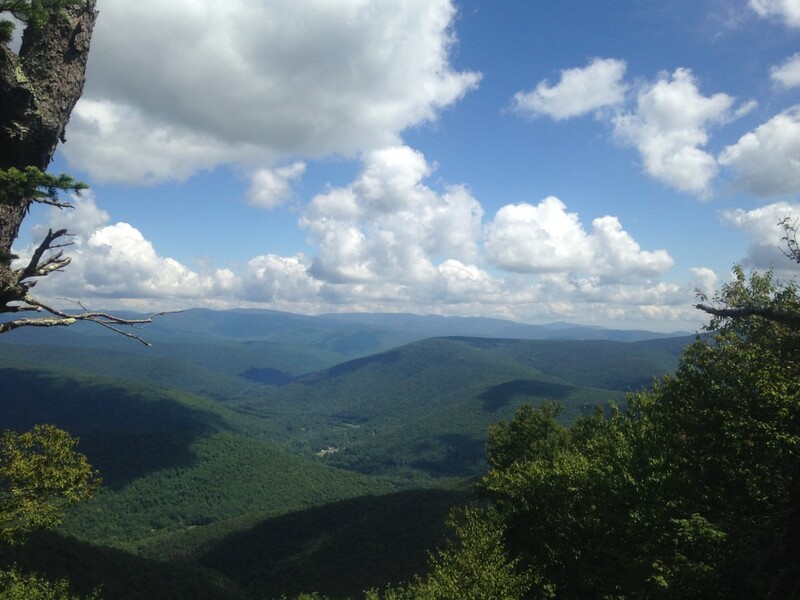 This entry was posted in Hiking The Catskills and tagged Catskill 3500 Club, Catskill 35er, Catskill Mountains, Catskills, Catskills Hiking, I love NY, Mountain Life, Pecoy Notch, Twin Mountain, Upstate Living, Upstate New York, Upstate NY on August 9, 2016 by JNUrbanski. 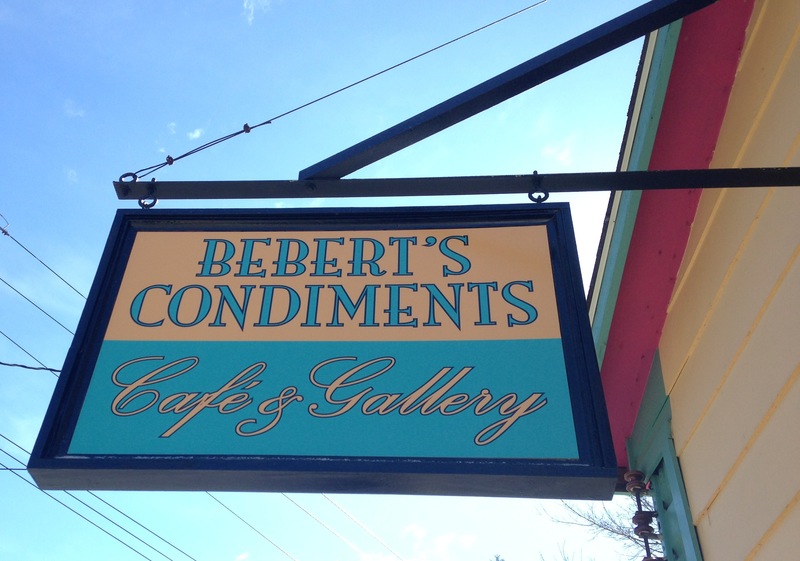 Fleischmanns gains an exotic cafe; read my article in the Watershed Post. A Memorial Weekend yard sale on Saturday and Sunday in the parking area between Arkville Bread Breakfast and Union Grove Distillery. Fleischmanns is having a Memorial Day street fair on Saturday, 10am to 4pm. If you come to visit, don’t forget to pack up your trash and take it with you. 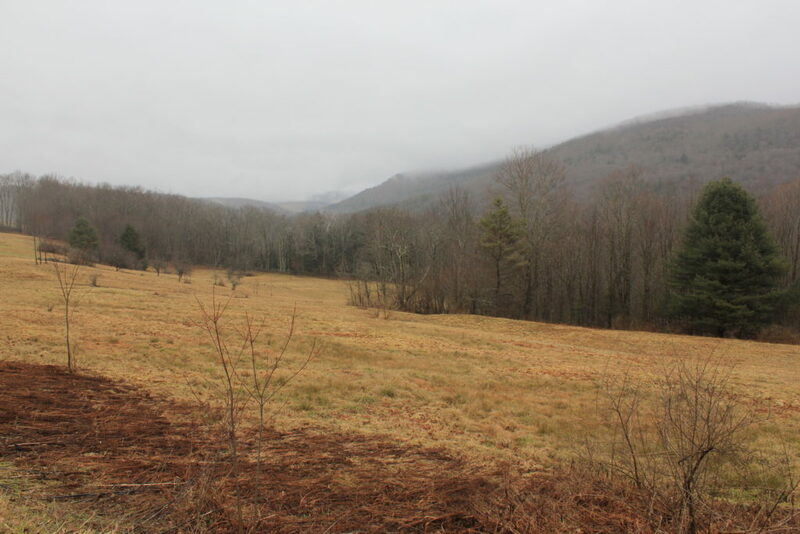 Last year, the Blue Hole, Peekamoose’s swimming hole was strewn with rubbish. 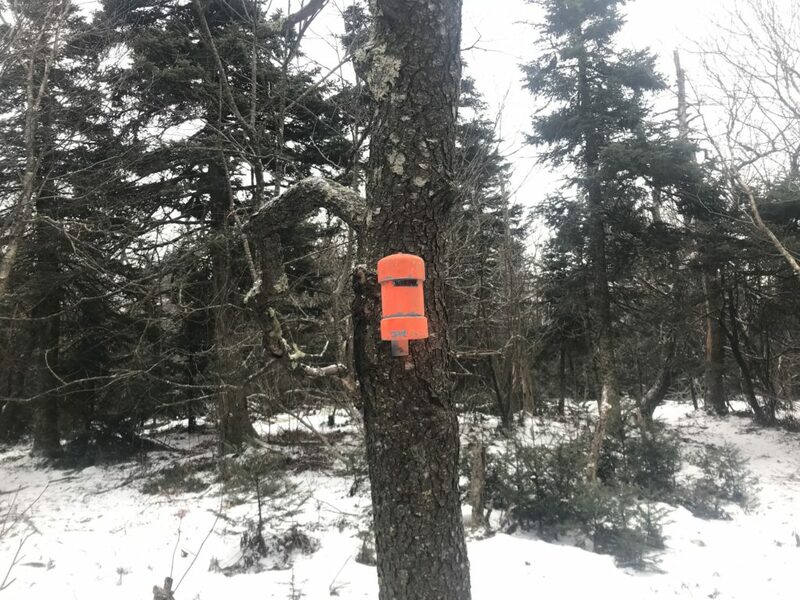 Days and weeks later, hikers were still bagging litter on their way home. 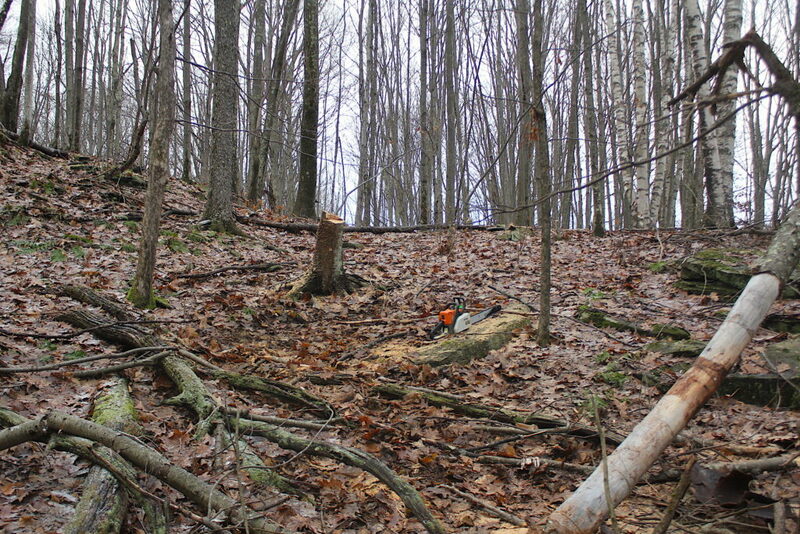 Jeff Vincent highlights this problem in his piece in this week’s Watershed Post. As a mountain guide, he regularly carries out rubbish on his hikes. This year, the DEC has issued new rules for enjoying the area. 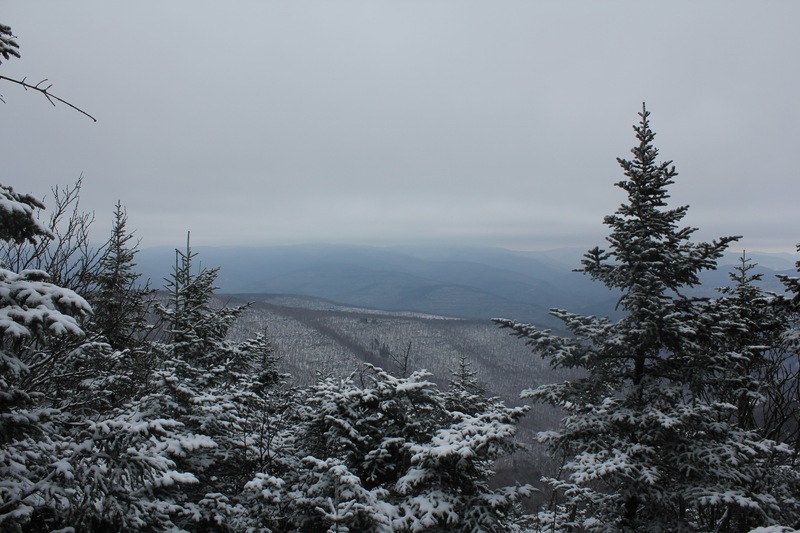 If you have any weekend links you would like to suggest, please email info@upstatedispatch.com. This entry was posted in Country Life and tagged Catskill 35er, Catskill Mountains, Catskills, Catskills Hiking, Catskills Photography, Country Living, Fleischmanns NY, I love NY, Memorial Day in Fleischmanns, Upstate Life, Upstate Living, Upstate New York, Upstate NY on May 27, 2016 by JNUrbanski. 32C by 11am, dull and overcast. Snow on the peaks laying thickly on branches. 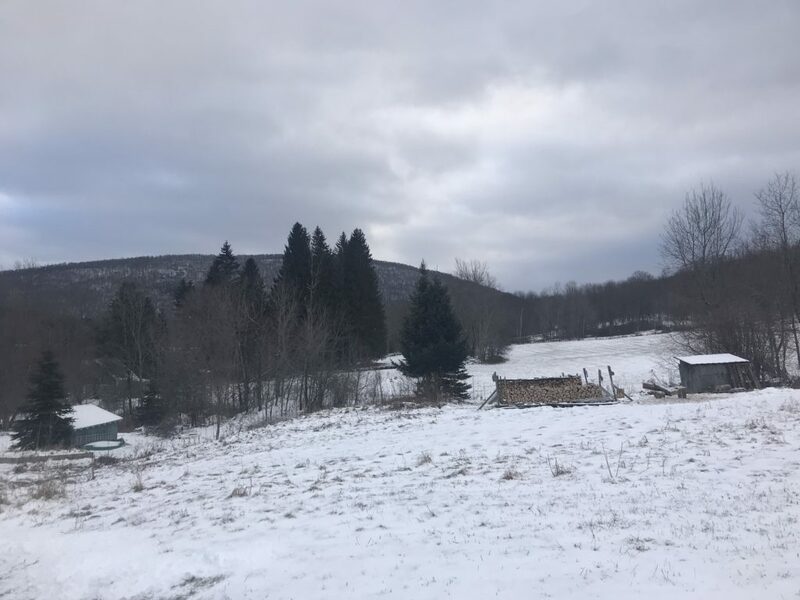 This entry was posted in Daily Catskills and tagged Catskill Mountains, Catskills, Catskills Hiking, Catskills Photography, Country Living, Hike Catskills, Mountain Life, Ski Catskills, Upstate Life, Upstate Living, Winter in the Catskills on January 17, 2016 by JNUrbanski. Oh, the joy of crampons. 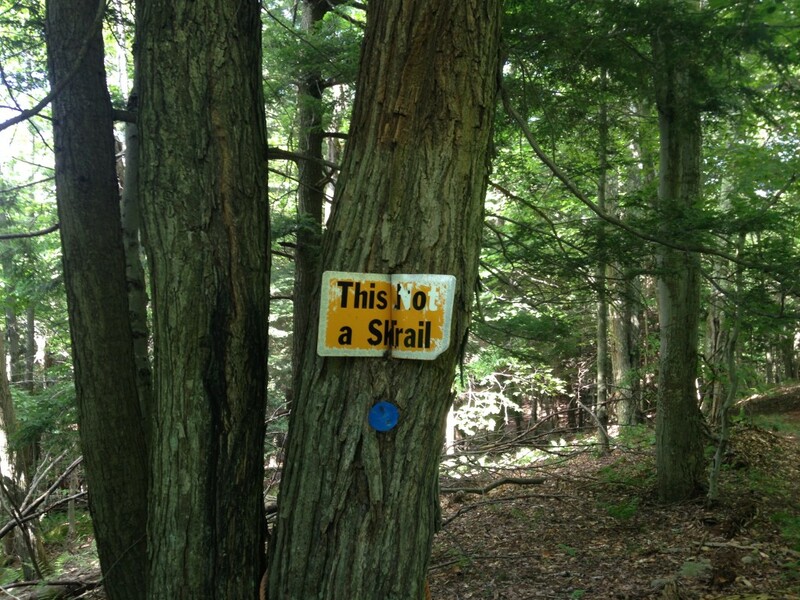 It’s nice to muster a decent pace with a good, long stride on the Catskills trails and I’m talking about the sort of stride that confirms the saying “to stretch the legs”, which British people call going for a walk. The only way you can do that in is in the winter on long stretches of iced mud, wearing crampons or “spikes”. 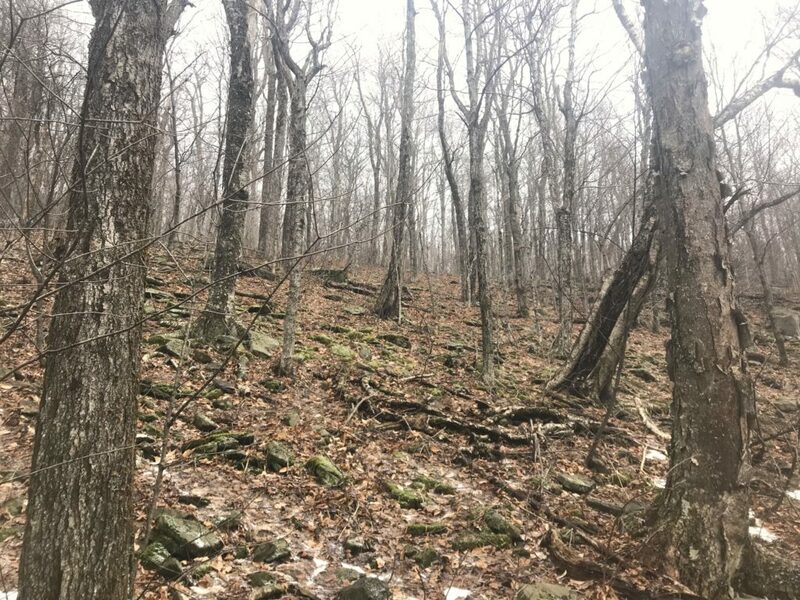 Most Catskills trails are rocky, and I understand when I hear about hikers who go barefoot in good weather, because it’s easy to lose your footing if it’s wet or mossy. 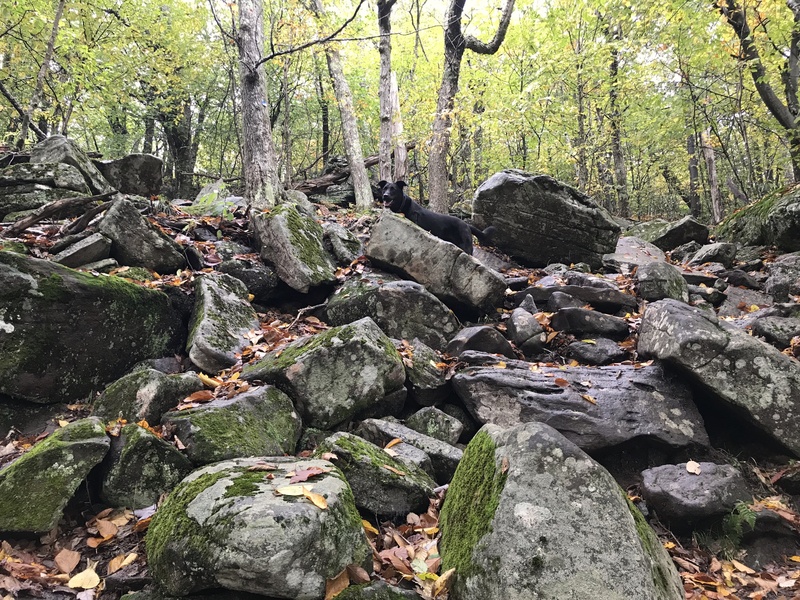 In the autumn, when the trail is covered with leaves, it’s too easy to slip between rocks and turn an ankle, especially when you’re on your descent and tired. 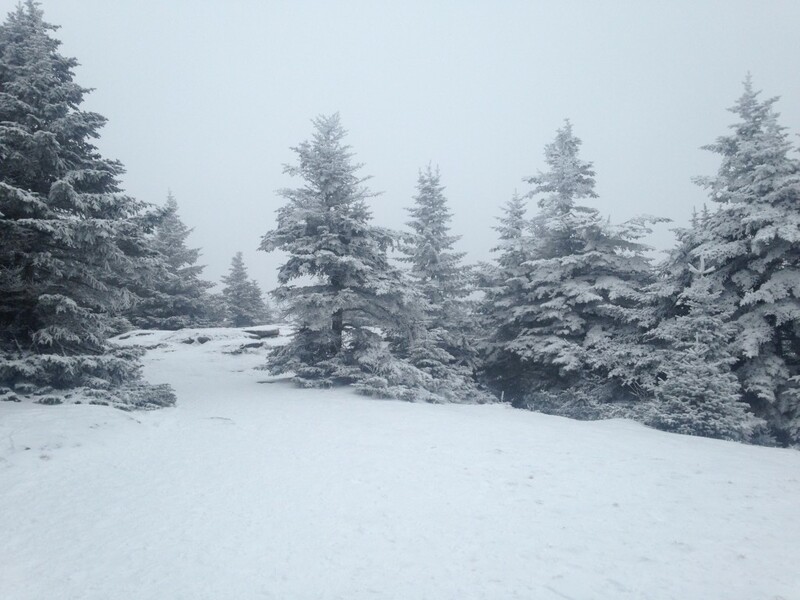 Crampons are inadvisable other than when it’s icy or snowing because otherwise you’ll punch up the trail. They and snowshoes both make winter hiking rather special. Hillsound make a fabulous set for a reasonable price and I wore a pair yesterday for the very first time. Hillsound had sent us two pairs to try out for free and I love them. 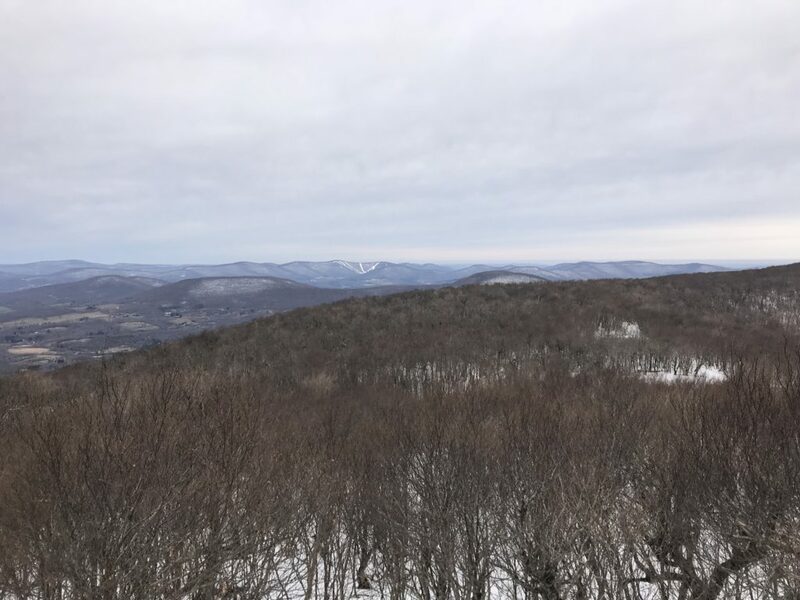 This entry was posted in Hiking The Catskills and tagged Catskill 35, Catskill Mountains, Catskills, Catskills 35, Catskills Hiking, Catskills Winter, Country Living, Giant Ledge, Mountain Life, Panther Mountain, Winter in the Catskills on January 3, 2016 by JNUrbanski. 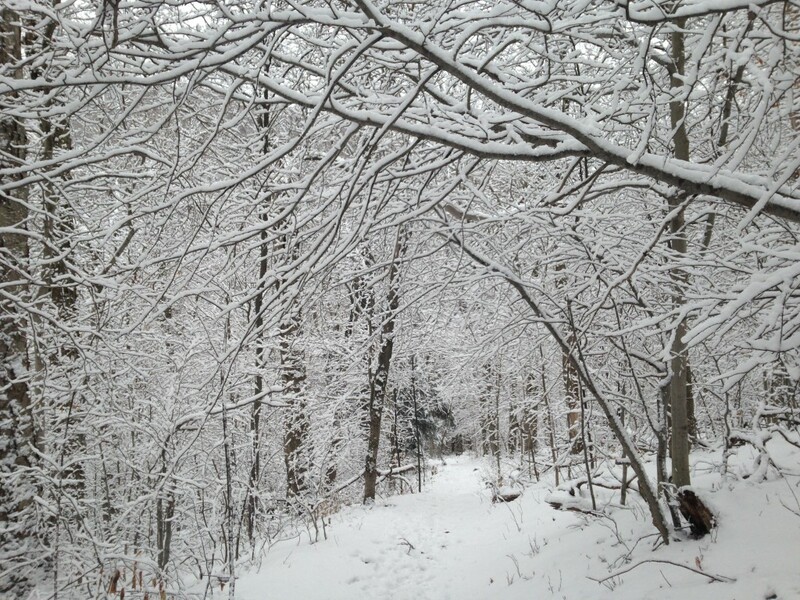 There’s a sudden change of scenery on the trail to Windham High Peak after the first mile or so. 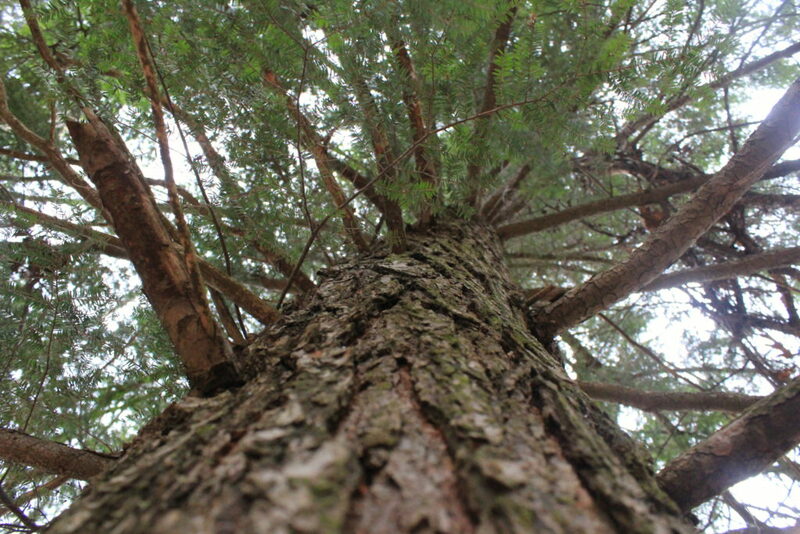 An imposing, sky scraping spruce forest wherein you feel like you’re about to get picked off like Hansel and Gretel. 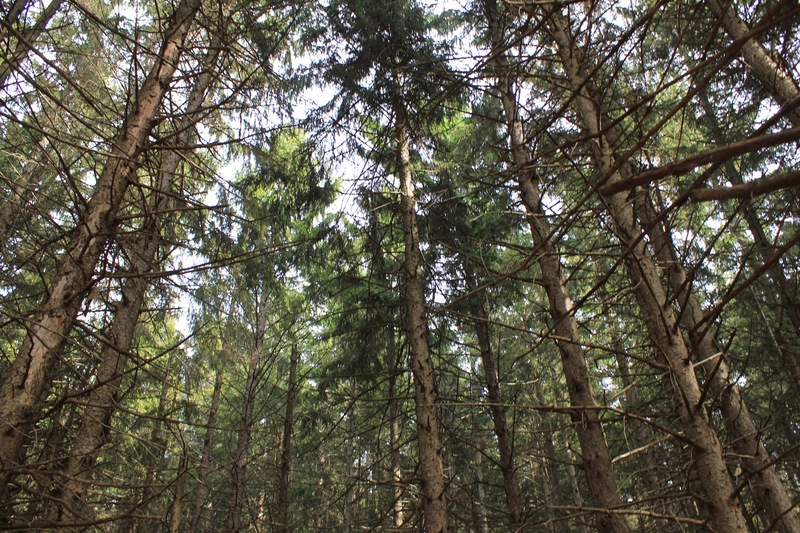 To make it even spookier, the forest floor under the spruces is barren apart from intricately woven with thick tree roots snaking all over the path. A perfect Halloween scene if ever there was one. 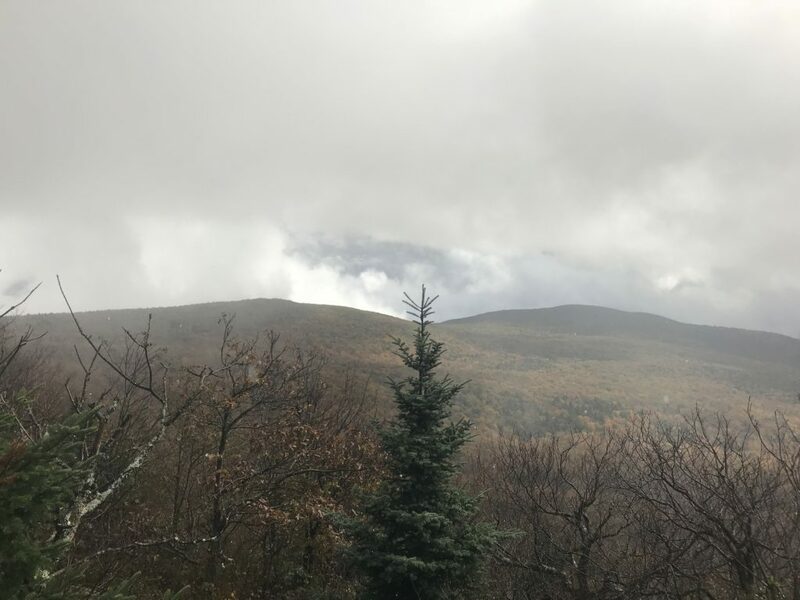 This entry was posted in Hiking The Catskills and tagged Autumn Hiking, Autumn in the Catskills, Catskills 35, Catskills 350, Catskills Hiking, Fall Hiking, Halloween Hikes, Windham HIgh Peak on November 1, 2015 by JNUrbanski. © J.N. Urbanski The view from John Robb lean-to about 2 miles into the Spruceton Trail to Hunter Mt. 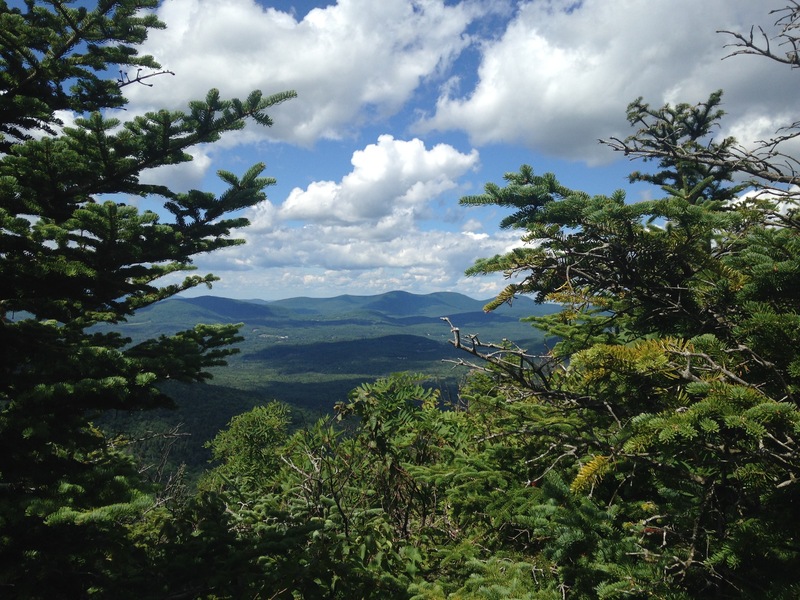 If the Spruceton Trail to the summit of Hunter Mountain were a movie it would be a Kate Winslett vehicle: remarkably efficient, obvious, solidly reliable with a spectacular finish. An old logging trail, it has a very wide berth, leading the way like any seasonal road flattened with pebbles and flinty rubble. 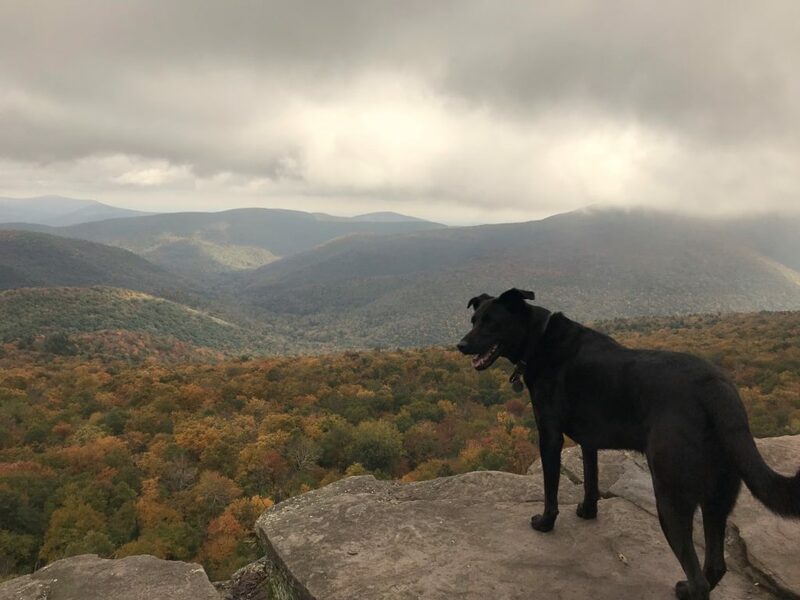 There’s really no chance for an idiot writer to get lost on this trail; even the Black Lab fell in line quickly and took a steady, dependable pace all the way to the top where there is a large fire tower, upon which should read the words: don’t look down. Looking down from the midway of the fire tower invites a severe case of the wobblies. 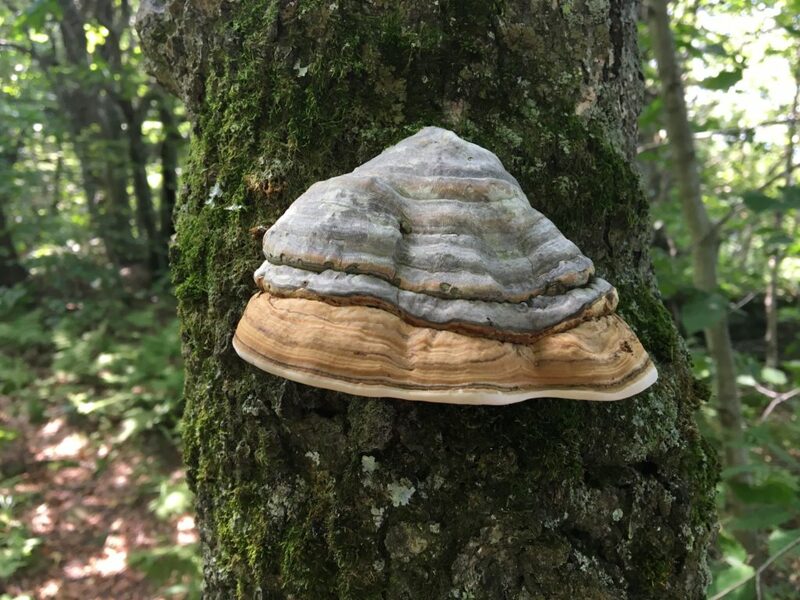 This entry was posted in Hiking The Catskills and tagged Catskill 35, Catskills 35, Catskills Hiking, Country Living, Hiking, Mountain Life, Summer in the Catskills on September 2, 2015 by JNUrbanski. 82F by noon, clear skies overhead, warm and breezy with scudding clouds on the horizon. 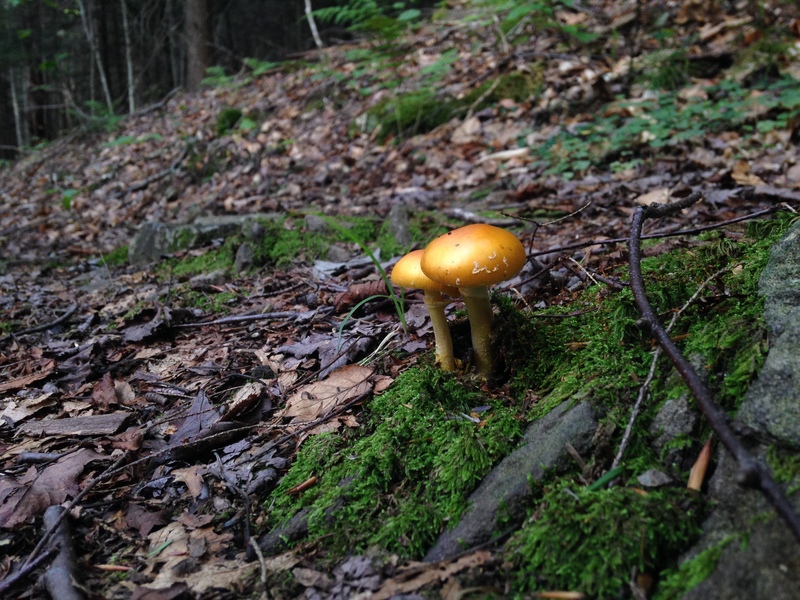 This entry was posted in Daily Catskills and tagged Catskills, Catskills Hiking, Chanterelles, Forest, Hiking, Mushrooms, Photography, Small Yellow Mushsrooms on August 2, 2015 by JNUrbanski.